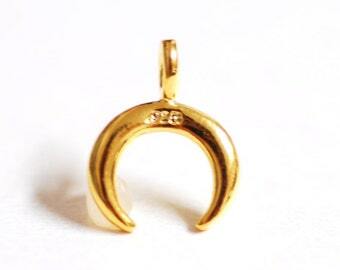 ☑ This charm does come in larger quantities than listed. Please message me for a custom wholesale amount. Excellent product and value. Exactly as pictured and described. 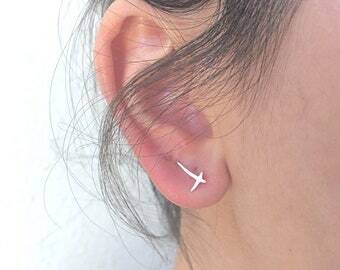 Bought for my teenage daughter. She loves it and has received lots of compliments from her friends. Custom/ Reserved orders: We will hold reserved orders for 36 hrs only. After that we have to put the merchandise back in stock, and will cancel the order. =Please shop with confidence. Satisfaction is guaranteed. If you are unhappy for any reason please contact me within 7 days and return the item. I will issue a full refund minus the shipping fee. Product must be original condition. =All cut chain sales are final. =All custom made orders are final. All international orders over 150.00 must be shipped EMS express which is currently running about 44.00 exact cost, sometimes more if the items are heavy. I will be contacting all International orders over 150.00 to pay a seperate fee after checkout for EMS. If you would like to insure any packages, please contact me for rates. International Customers: We are not responsible for any customs, import fees, tariffs, taxes or duties fees, etc.. Please check the rules and regulations for your country before ordering. We are not responsible for any such fees. Shipping Timelines: Packages will be shipped out 3-5 days after your completed order. Packages shipped first class mail take 3-5 days from the day shipped to arrive. Packages shipped Priority take 2-3 days from the day shipped to arrive. International first class mail can take 1-6 weeks to arrive. It varies by country and if your package is held up in customs. Express Ems INTERNATIONAL usually takes 5-8 days, but again can be held up longer in customs/ WE DO NOT GUARANTEE YOUR PACKAGE TO COME IN A TIMELY MANNER. By making a purchase you agree to the following terms and conditions as stated in our policies. Once a package has been delivered to USPS, UPS, etc, it is no longer in our control the time of delivery. 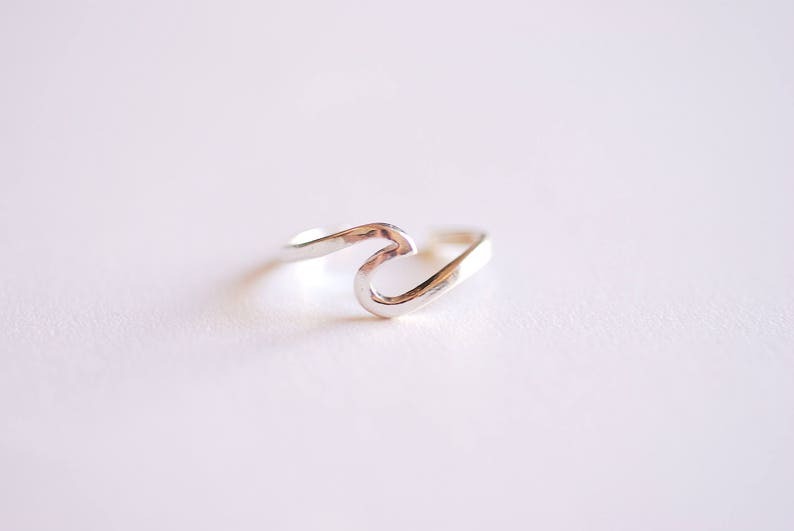 We do not gift wrap or package rings, earrings and bracelets in individual gift boxes. I welcome all questions, feel free to contact me 24/7. Your message will be replied within 24 hours. - 500 pcs and more: 1 week production and next day delivery. All wholesale charm orders are shipped still attached to wire. Buyer is responsible for snipping charms off wire. 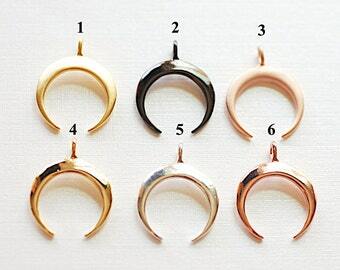 We can make any charm, Rhodium, Brass, Sterling Silver, Vermeil, Pewter, Zinc Alloy etc. We can plate at any micron thickness. 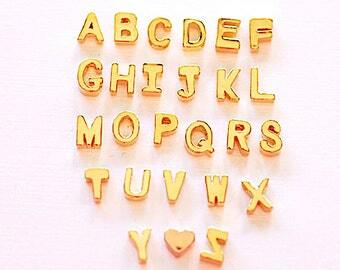 USA standard is 2.5 microns, all our stock charms are plated 3 microns (for reference). We can plate 14k gold - 24k gold. 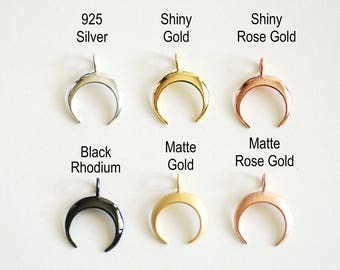 Finishes include Bright Sterling Silver, Oxidized Sterling Silver, Matte/ Satin Gold, Glossy/Shiny Gold, Black Rhodium, Shiny Rose Gold, Satin/Matte Rose Gold and White Gold. Please message us a photo of the charm you want cast, we require at least 50 pieces to begin production. We are committed to providing the highest quality of charms at the lowest price. 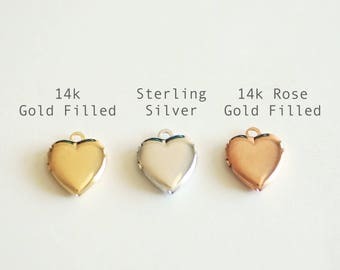 If any store carries the exact charm we have in stock, please message us the link of the charm and we will price match that charm. What if we don't carry the charm you want, but you want to purchase from us? Send us the link of the charm and we can order it in for you. We are a USA company. This company is family operated. All components of our charms and chains are made in the United States. Our charms are made in Glendale (Los Angeles) We abide by the highest standards of the USA Vermeil.